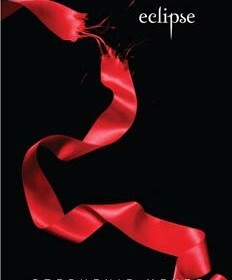 Stephenie Meyer’s Eclipse, the third book of the Twilight series, is a mysterious, eerie and intense filled book. In this story, the main characters are Bella Swan, who is a sweet eighteen year old girl and is ready for her big change. She is ready to be turned into a vampire. Another main character is Edward Cullen, Bella’s boyfriend who is adventurous and mysterious. Edward’s family and him are all vampires. There is also Jacob Black who is an additional main character. He is from the Quileute tribe, he is daring, and he would do anything to protect Bella. He and Bella have been best friends ever since they were little kids. In the exciting and suspenseful sequel, Meyer sets the story in their hometown of Forks, Washington. Something dangerous in Forks is ready for a fight, and Bella believes that there is more than one person coming. Bella believes that there is a conspiracy behind the attack being planned. But she doesn’t think it is just anyone leading the group, she thinks it is an enemy she does not want to encounter again. Eclipse is an action packed, suspense filled love story with all the dangers of a horror book. This is why Eclipse is a great book for anyone who likes love, action, or fantasy stories. Eclipse was an amazing book that I could read over and over. Once Again, Meyer leaves the reader on a cliffhanger. Luckily, there is a sequel, Breaking Dawn to read after this amazing story. Eclipse had me on the edge of my seat the whole read through and it will have you doing the same.